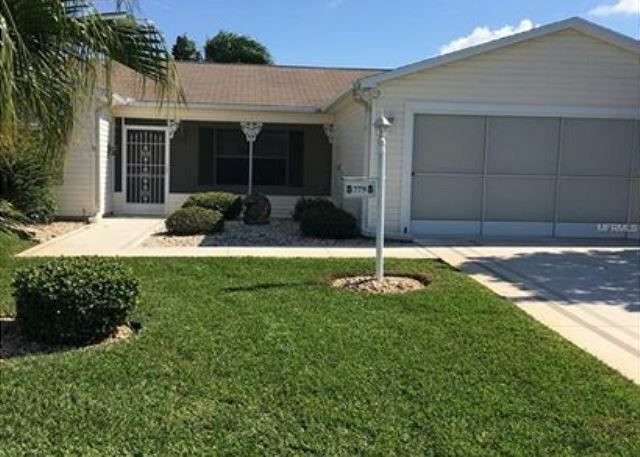 The Villages, Florida United States - VILLAGE OF POLO RIDGE | RE/MAX PREMIER REALTY Inc.
Great three bedroom home, third bedroom used as a den/office combination. King bed in master with large walk in closet and walk in shower. Twin beds in guest room. Indoor washer and dryer in utility room. Kitchen has a breakfast bar. Dining seats 4. Flat top cook stove. Enclosed lanai. Nice backyard with mature landscaping. Also has a screened front porch with seating and a screen on the garage door. This home is really nice and very comfortable, just waiting for you to visit. Bring your clubs and book now for anytime in 2018.